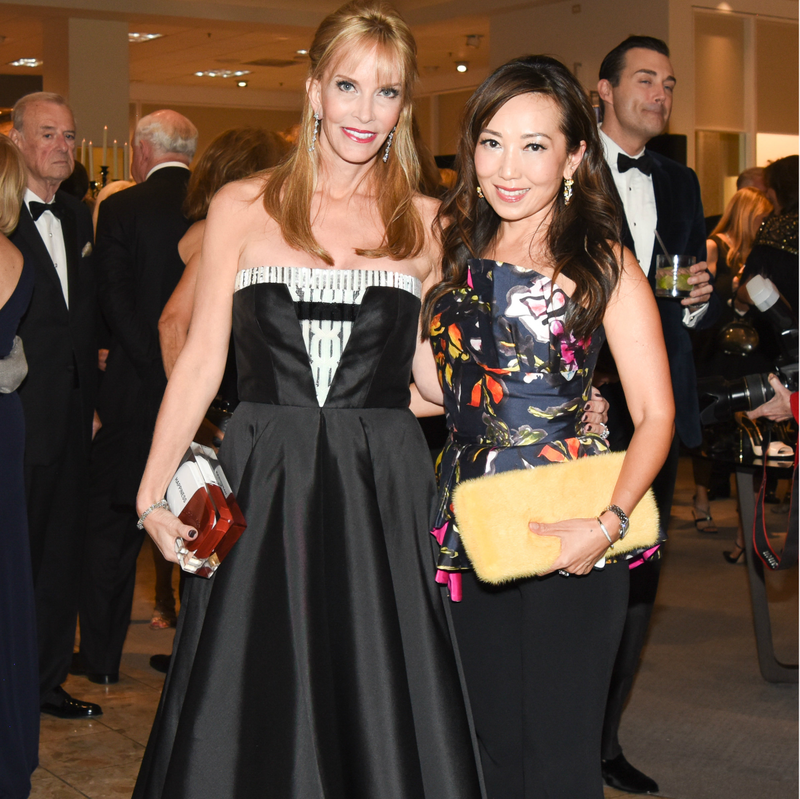 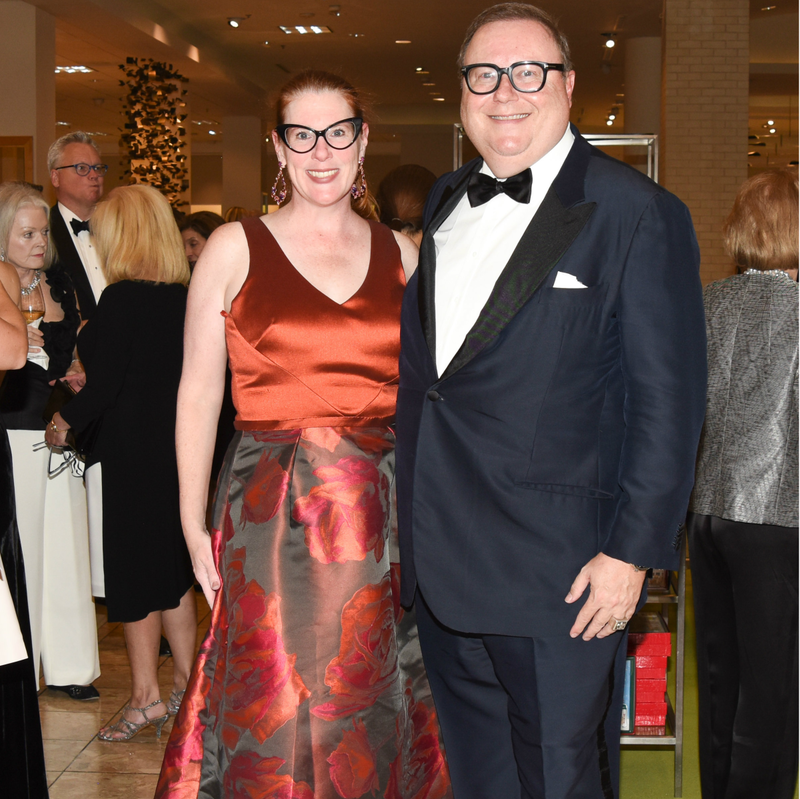 Notable Dallasites pulled out their black-tie threads on October 28 for a fashionable mid-week soiree. 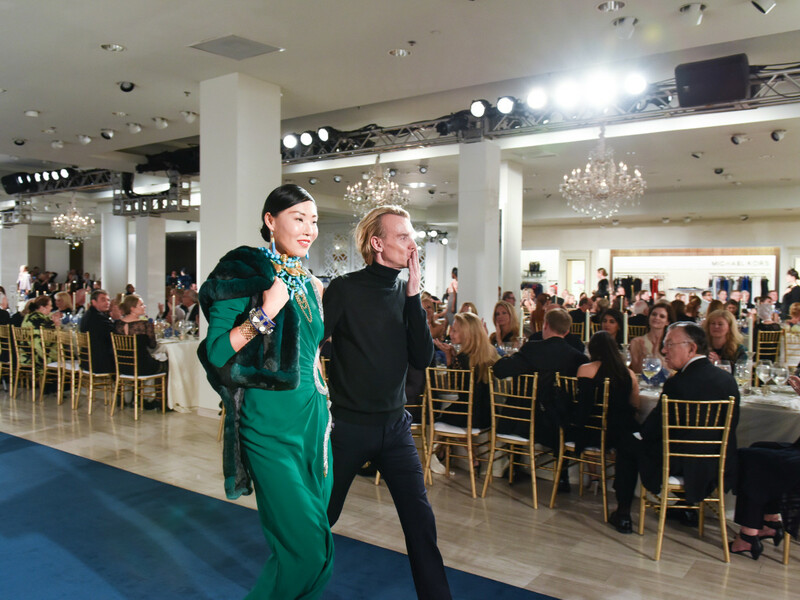 The occasion: Fifty Years of Style, presented by Neiman Marcus and NorthPark Center, to celebrate the iconic shopping center’s midcentury mark. 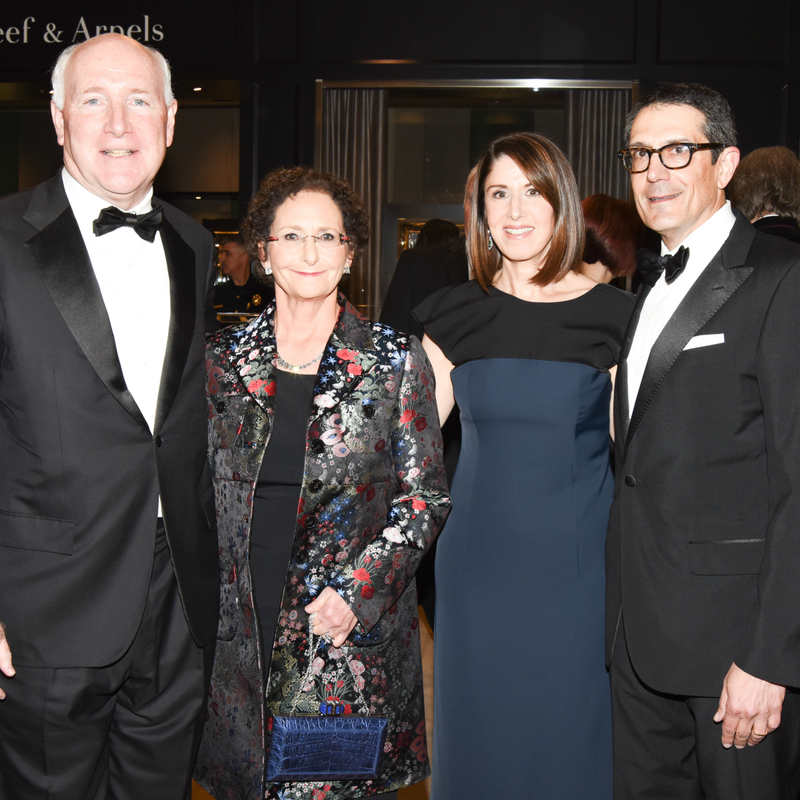 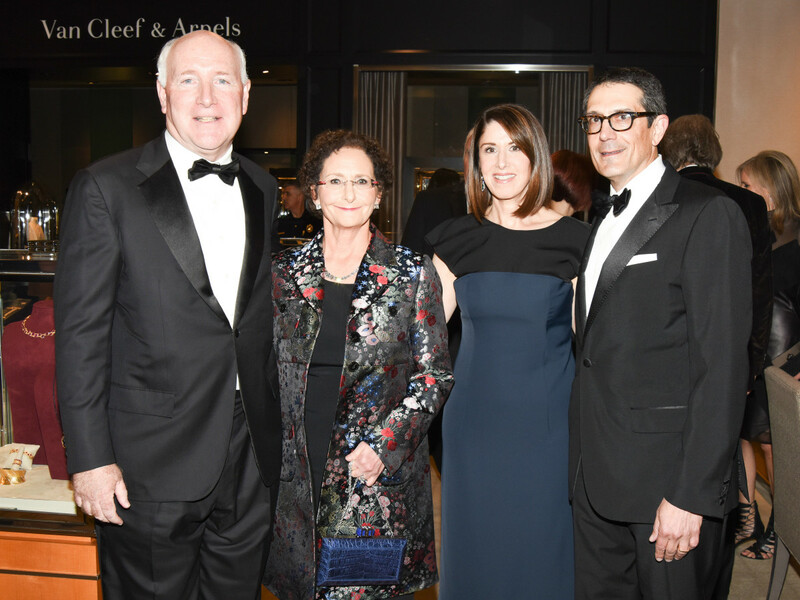 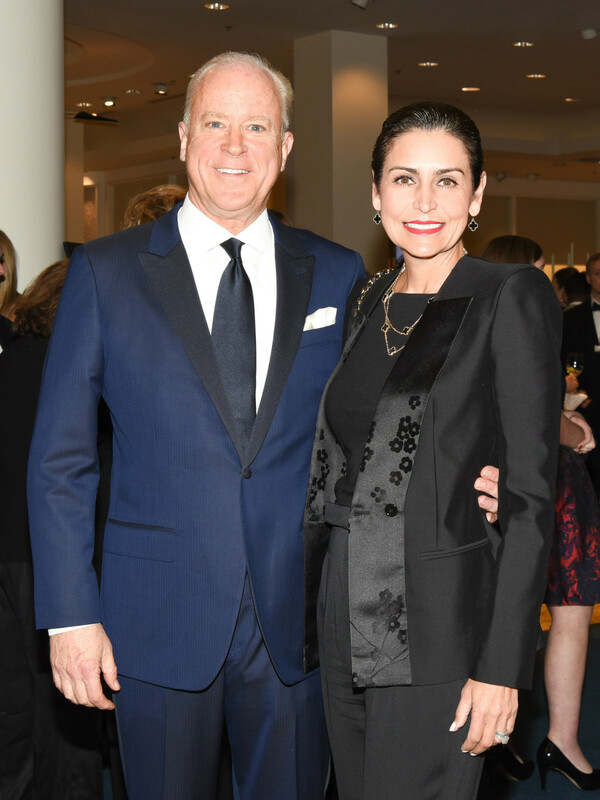 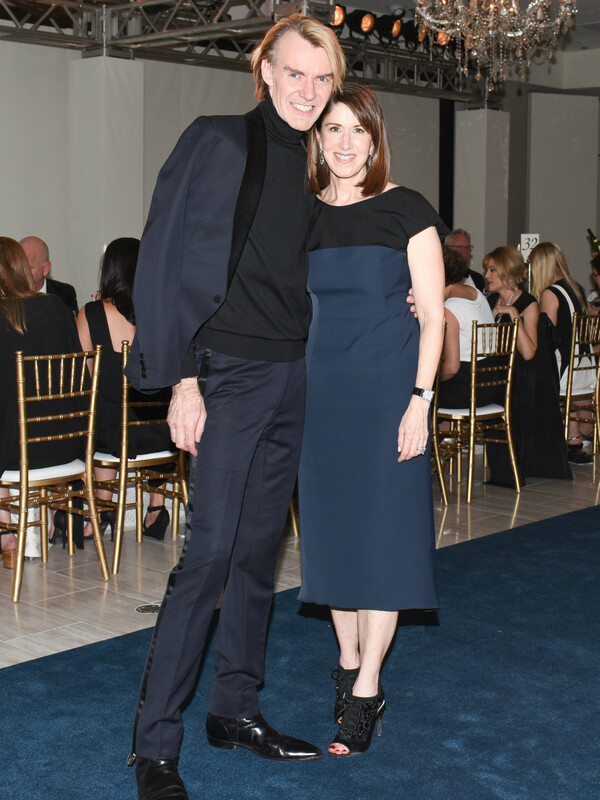 The evening’s hosts were Neiman Marcus CEO Karen Katz and her husband, Alan, along with Nancy Nasher and David Haemisegger. 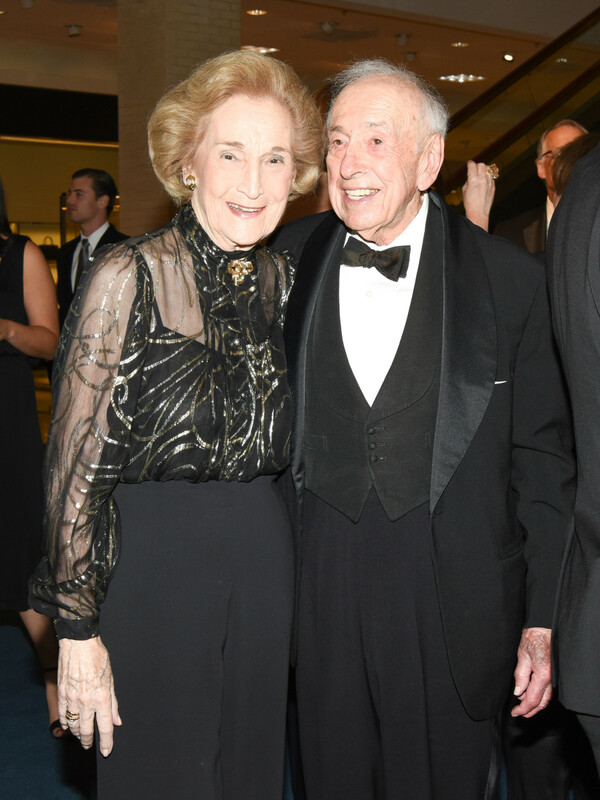 Nasher is, of course, the daughter of Raymond and Patsy, who had the vision to open NorthPark in 1965. 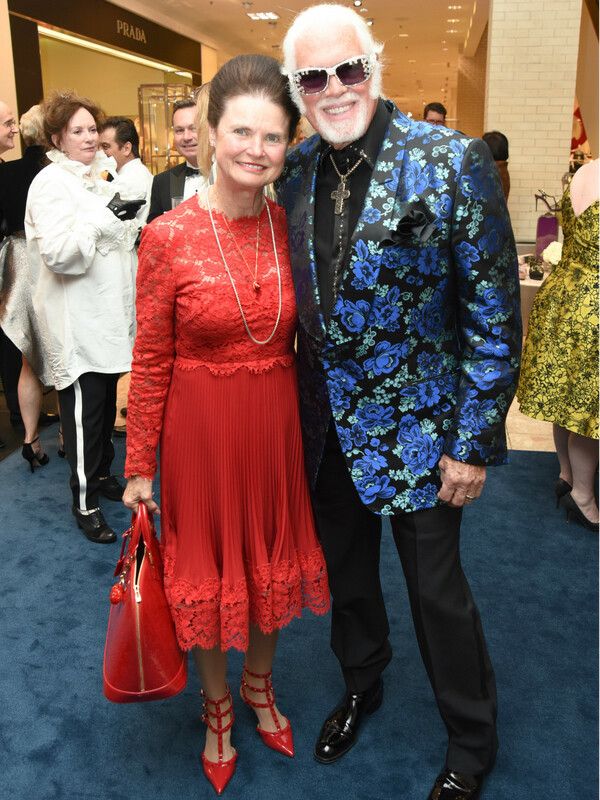 They all beamed like proud parents as they greeted well-heeled guests — Nancy Rogers, Tina Craig, Dean Fearing, Wanda Gierhart, Anne and Steve Stodghill, Jennifer and Coley Clark, Maryann and Frank Mihalopoulos, Margaret McDermott, and NorthPark architect EG Hamilton, among them — who were sipping champagne amid the fine jewelry and shoe departments. 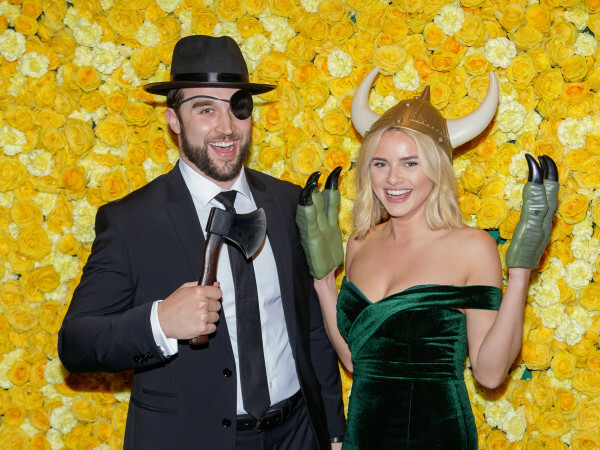 Unwilling to give up their glasses of bubbly (or was that just me? 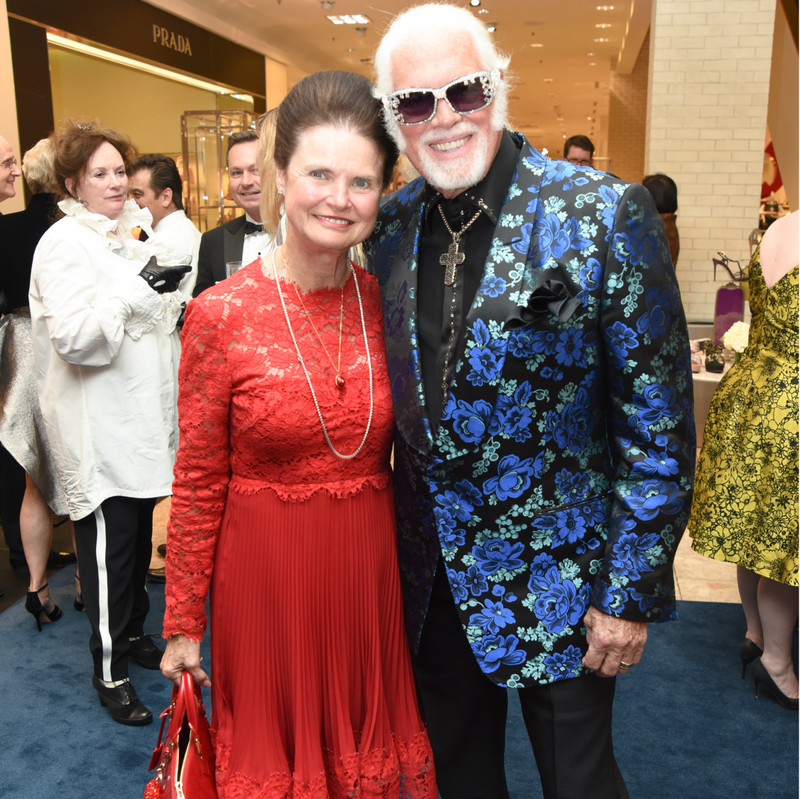 ), everyone ascended the escalator to the third floor, where tables were beautifully bedecked for a seated dinner and runway presentation. 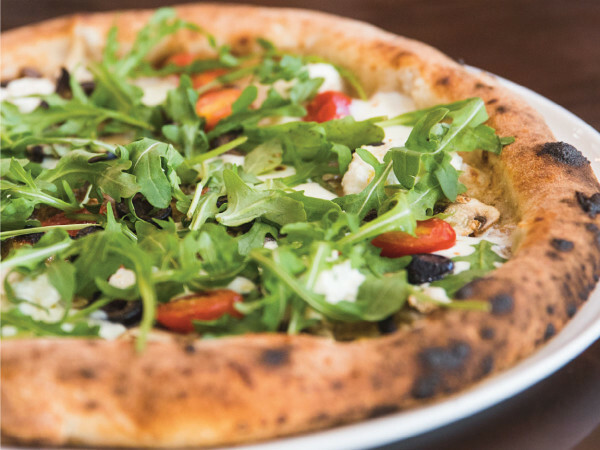 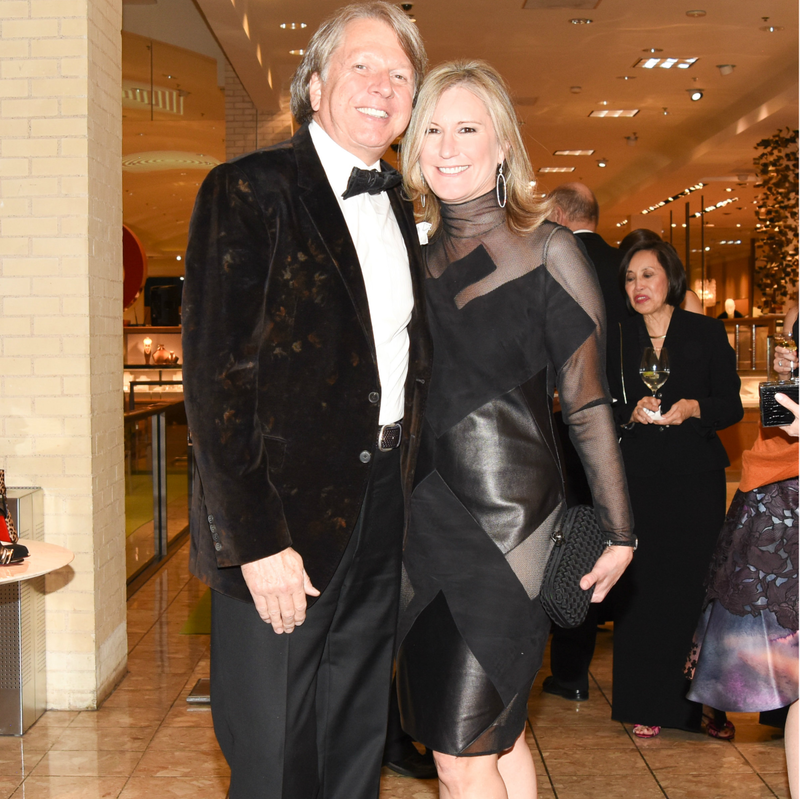 But first a few words from Katz, who reminisced about shopping at NorthPark with her mother and her girlfriends, referencing gone-but-never-forgotten spots like the Magic Pan creperie. 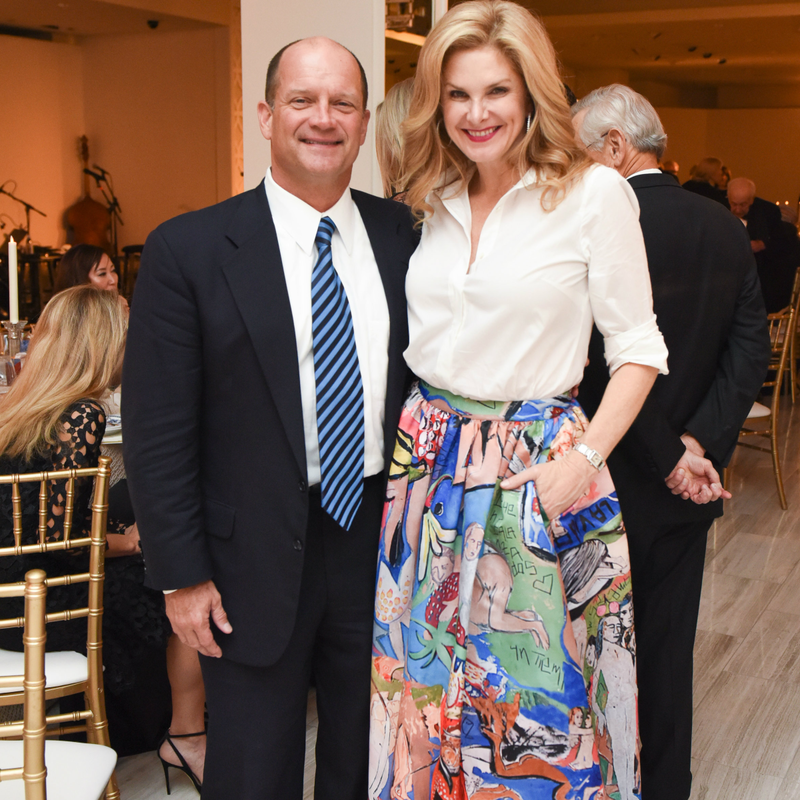 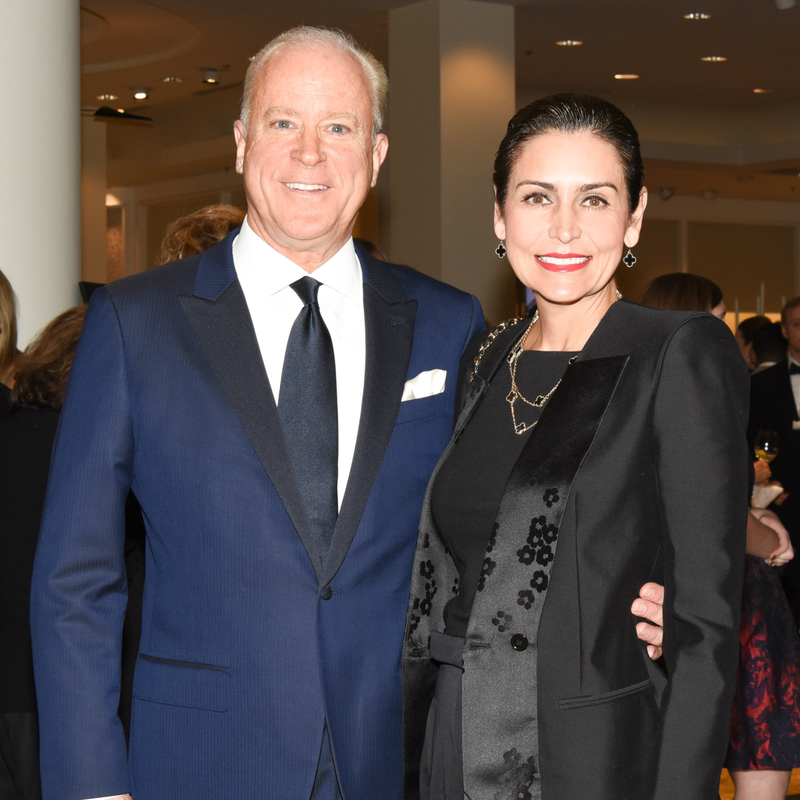 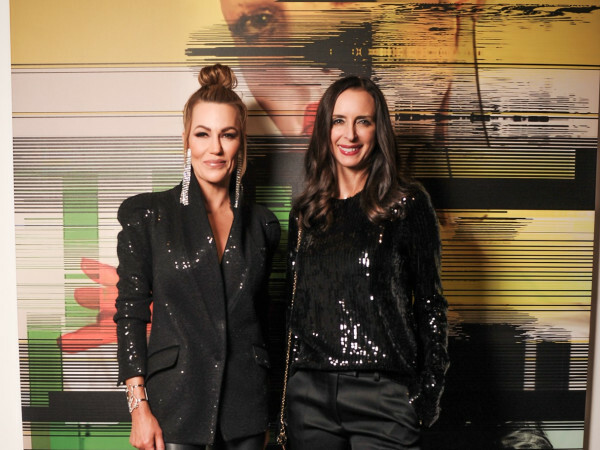 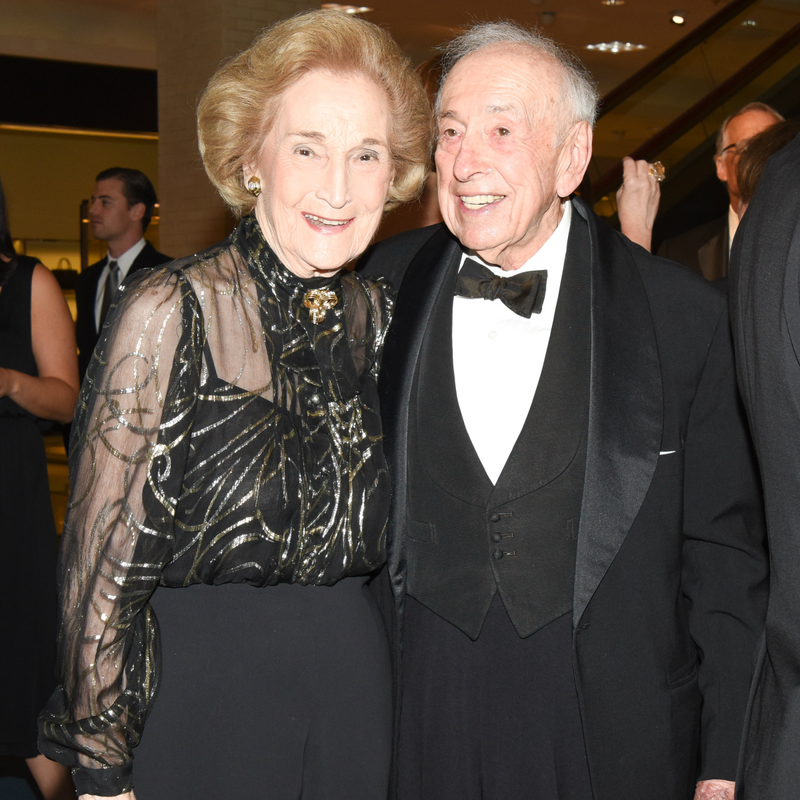 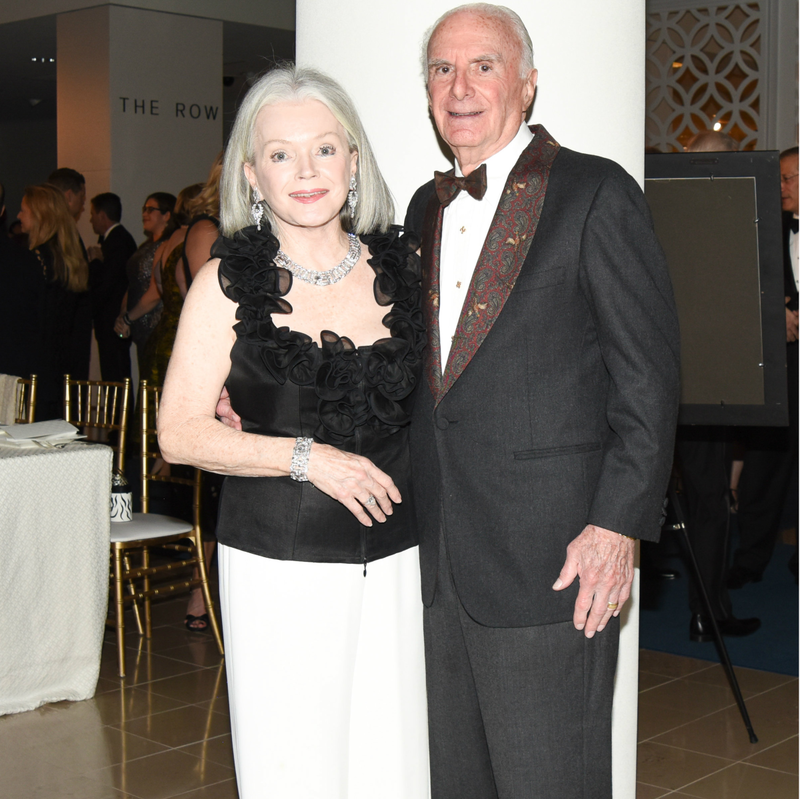 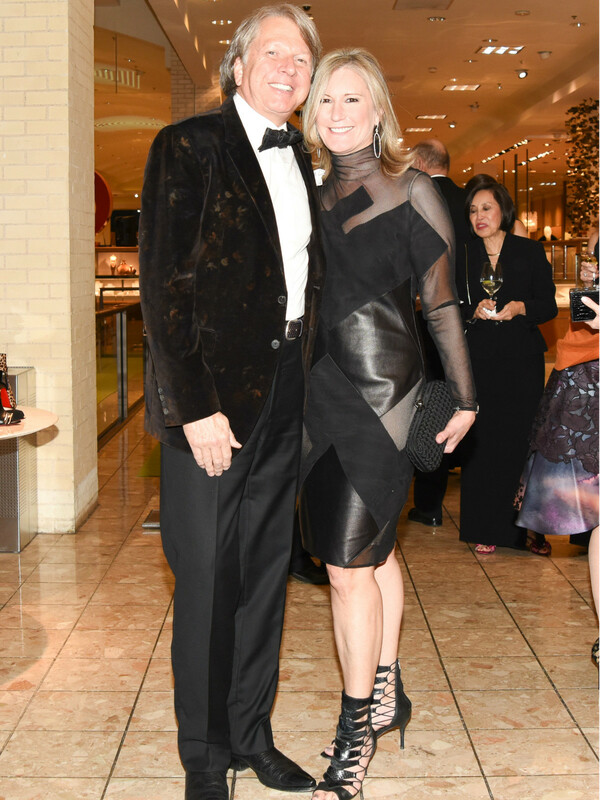 She also emphasized the importance of the partnership between Neiman Marcus and NorthPark and thanked Nasher and her husband for their continued commitment to her father’s vision. 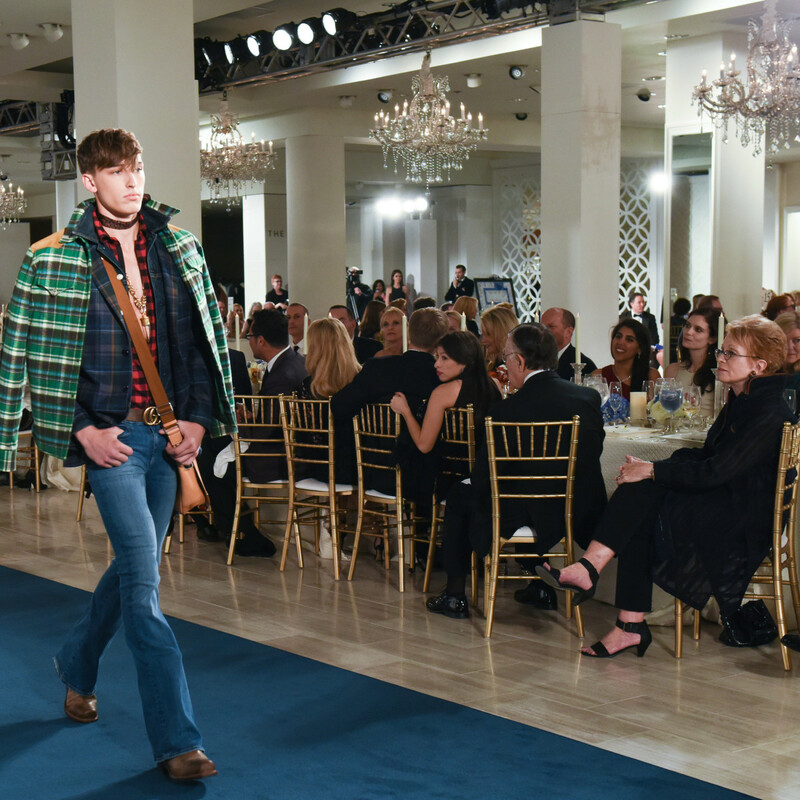 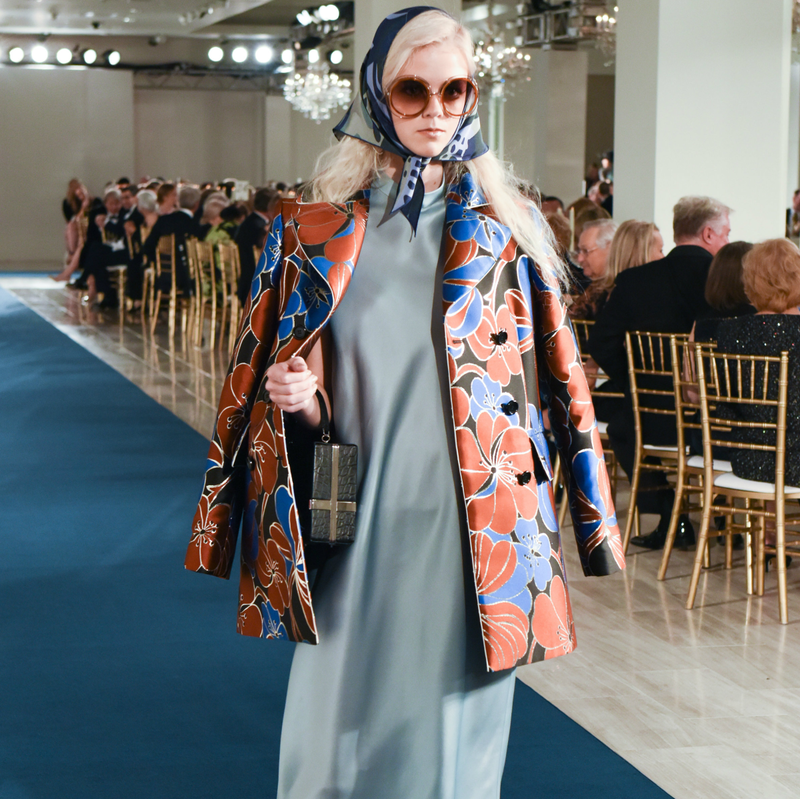 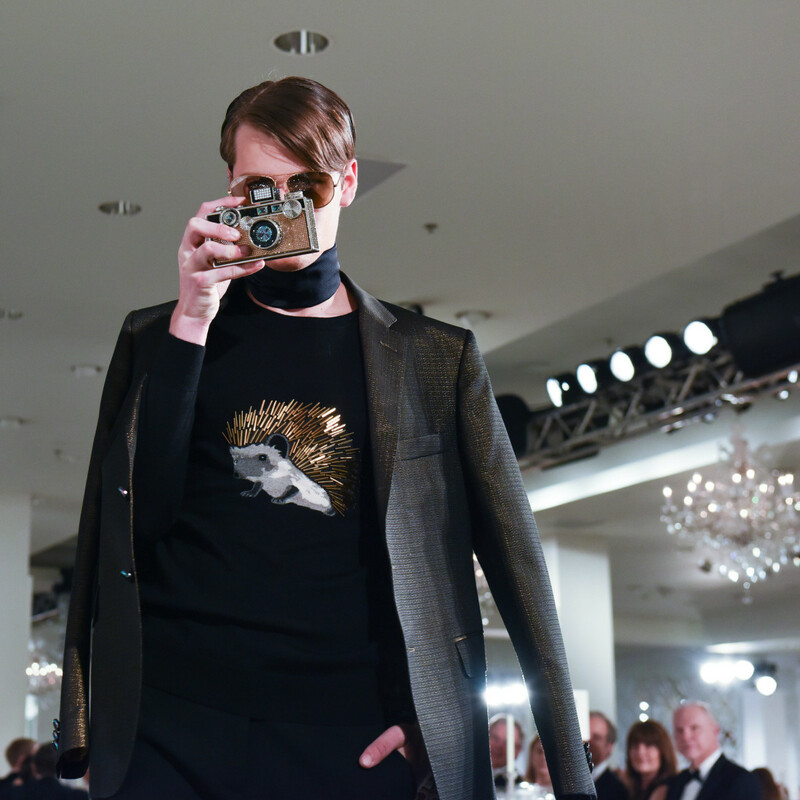 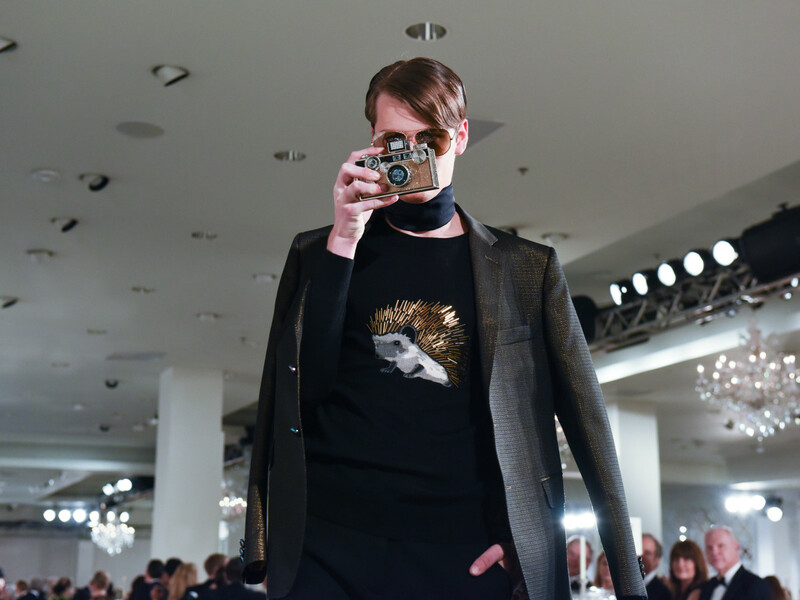 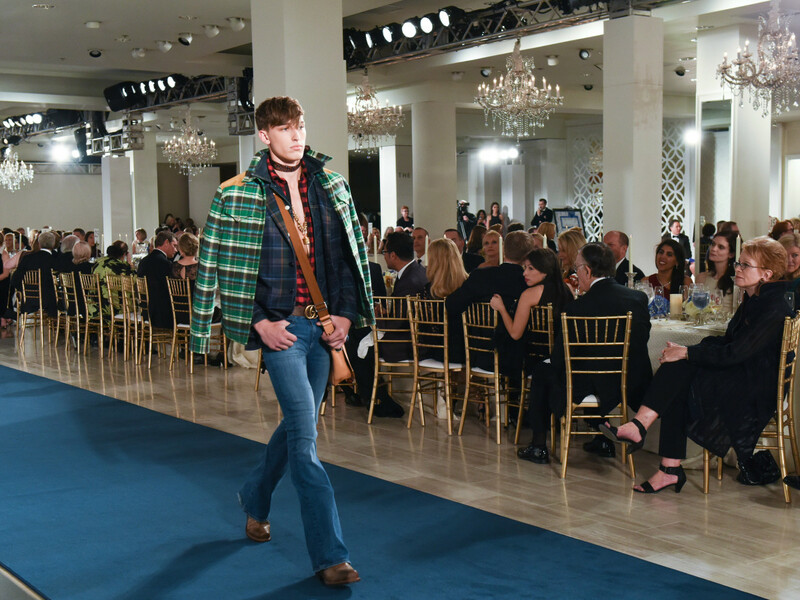 The fashion show was the vision of Neiman Marcus senior vice president Ken Downing, who dressed 50 models in 50 looks that spoke to the past five decades. 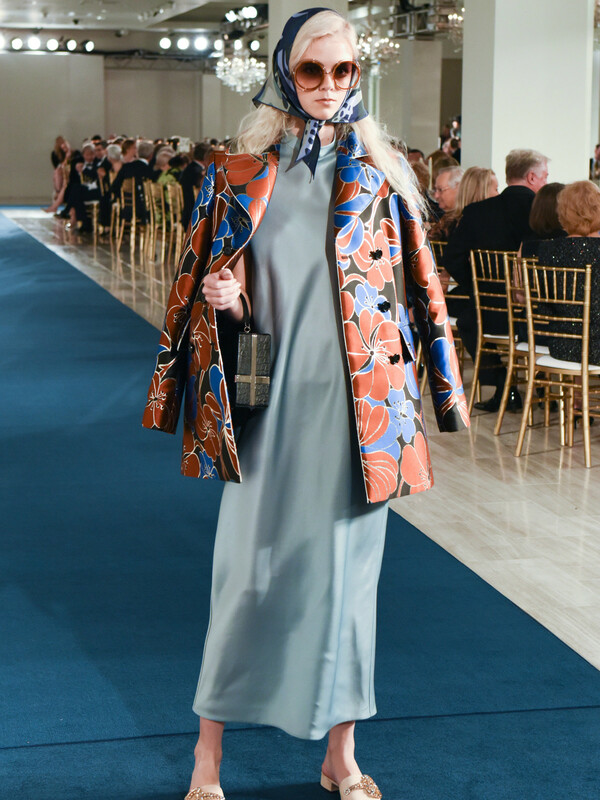 Themes included luxurious layers, nomadic nuances, and abundance of adornment; the latter came in the form of jewelry from Devon Leigh. 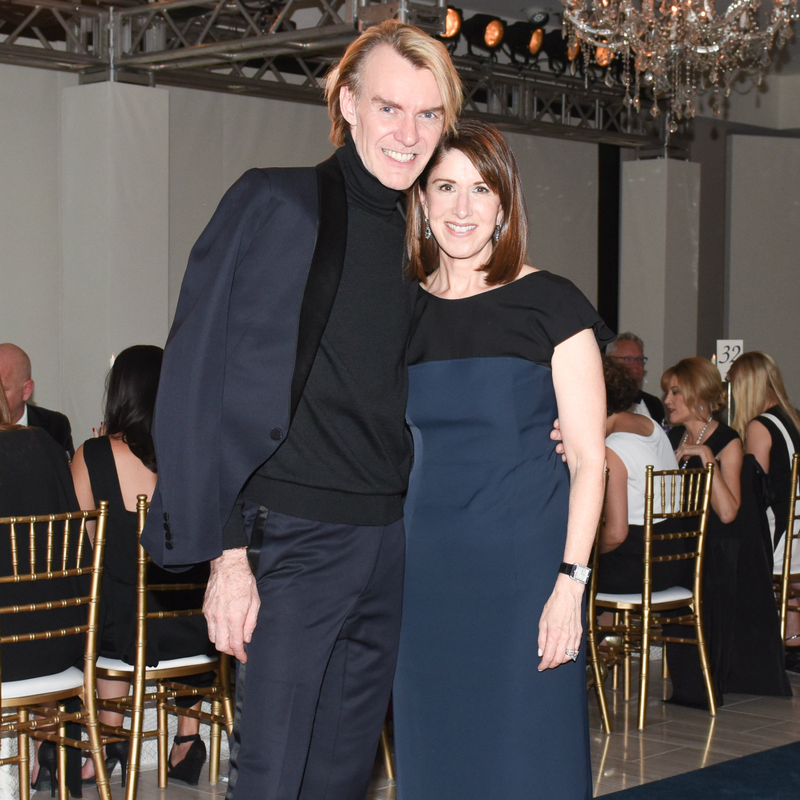 Don’t tell Downing, but DJ Lucy Wrubel’s song selections were just as big a hit. 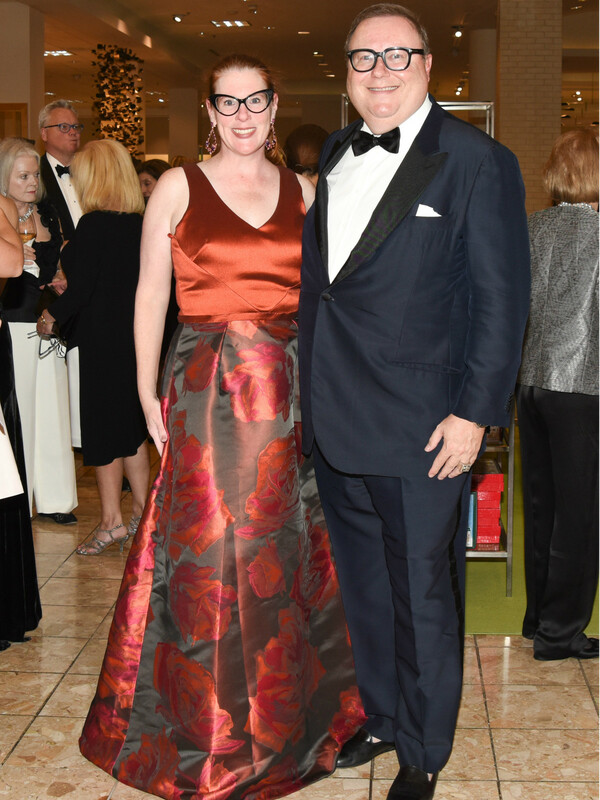 We overheard some people wondering if they could get her playlist, while watching other tuxedoed guests tapping their toes under the table. 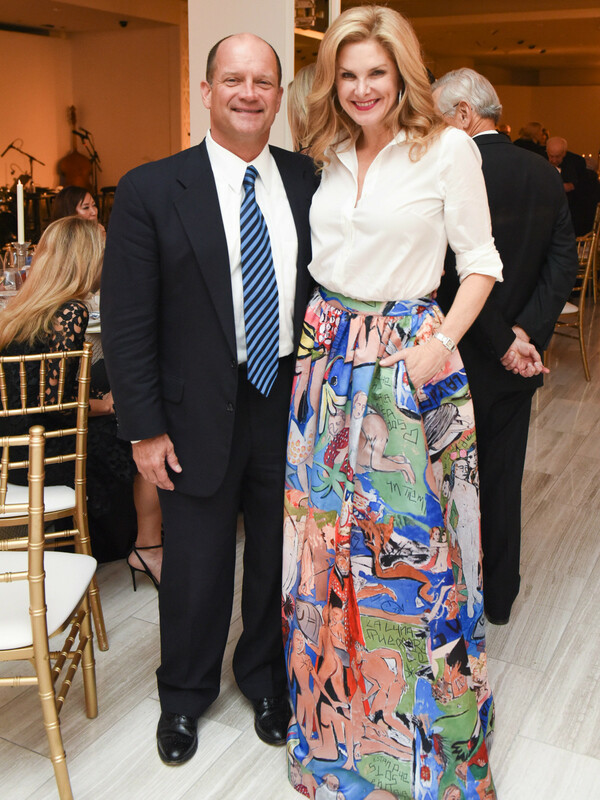 Attendees also enjoyed a special performance by Grammy Award-winning vocalist Steve Tyrell, who performs regularly at the Cafe Carlyle in New York City. 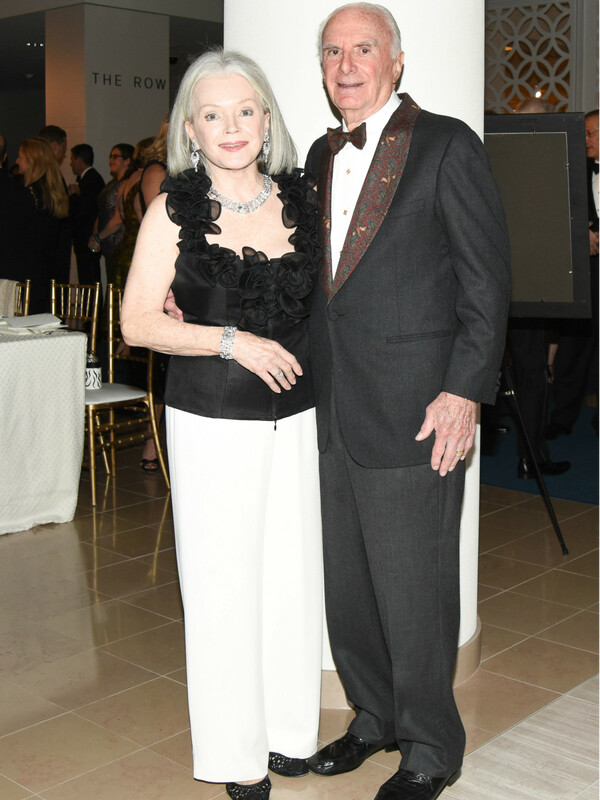 And no one left leave empty-handed. 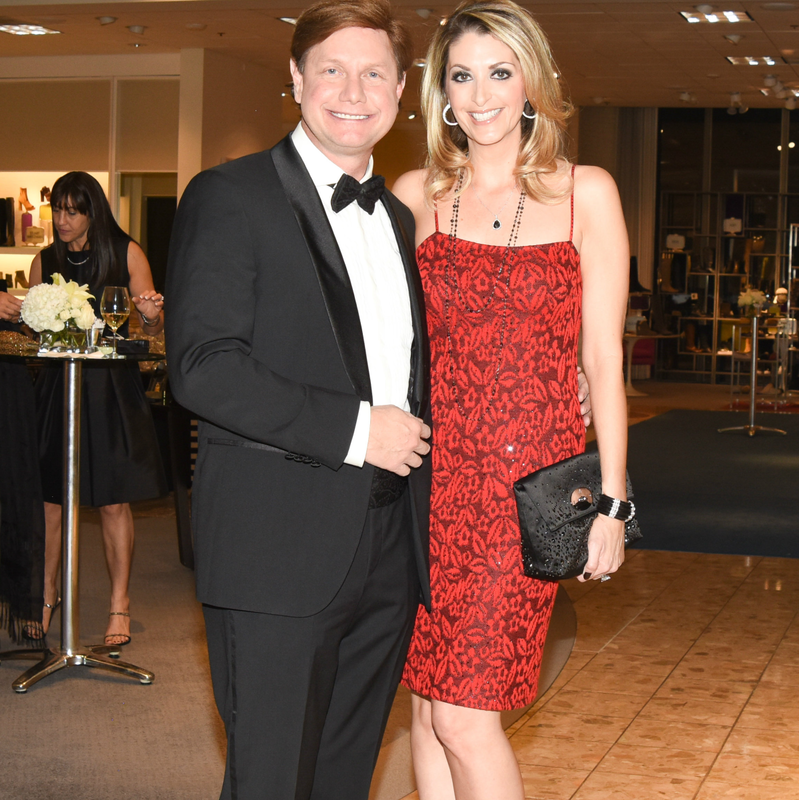 On the way to the valet, revelers grabbed shopping bags filled with the best swag of all: a box mix of the classic Neiman Marcus popovers.